Leaves have turned into all kinds of colors and the rainy days are becoming more prominent, which means…Halloween is peaking around the corner! Besides dressing your toddler up in a little pumpkin suit, there’s other cool things that you’re allowed to do at this time of year. Like throwing a themed dinner party or making cheesy ‘scary’ looking desserts… I’m up for the challenge! There’s not a lot you can’t do with pumpkins; soups, quiches, gratins…. Today I’m using the orange goodness to make a vegan pumpkin mousse. 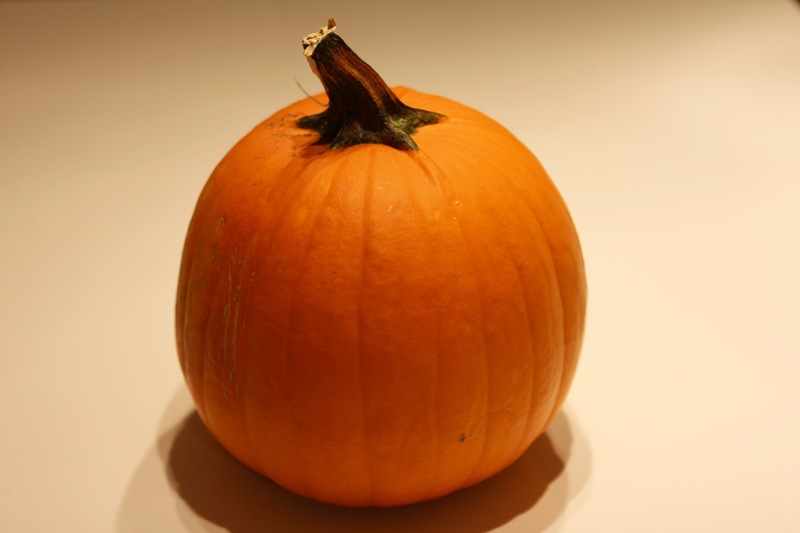 You can eat it just like that, but it can also be used as a pumpkin pie filling! The idea of serving in tangerines is not mine, but was inspired by some pictures on Pinterest (did not find the original source). Boil the pumpkin pieces for about 30 minutes, then let cool for 5 minutes. In the meantime, take a knife and cut of the upper part of the tangerines, as to obtain little tangerine ‘bowls’. Carefully cut out the tangerine out of the peel, by going around the inside with a knife. Try to remove all the fruit (and eat it), so you end up with an empty bowl and a little ‘hat’ for on top. 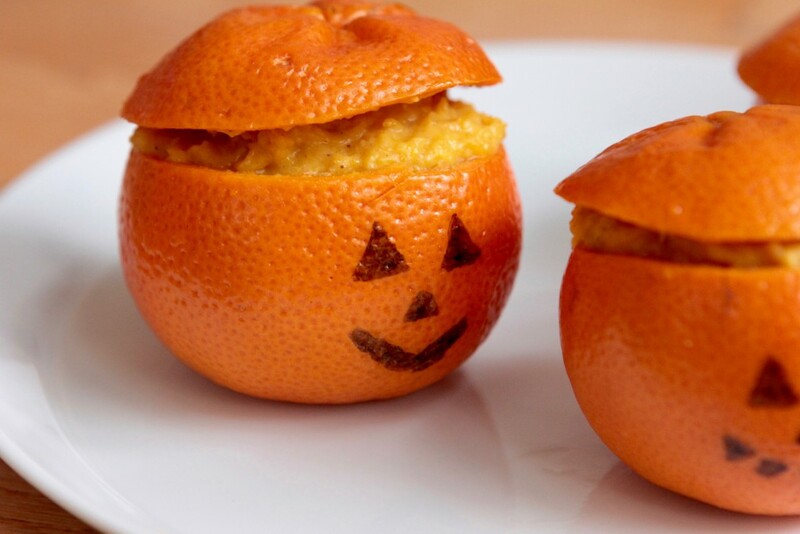 Draw a funny pumpkin face on the tangerines with a black marker. Put the pumpkin in a mixer together with the coconut cream, the maple syrup and the spices and mix everything for 3 minutes on medium-high speed. Serve the mousse into the tangerine bowls and cover with the top. You can eat the mousse both warm or cold.